In December 2011, the Assembly of States Parties of the International Criminal Court (ICC) will hold elections for a new Chief Prosecutor, six new judges, and other important officials of the ICC. This year’s elections at the ICC are crucial for several reasons. H.E. Annan. Photo courtesy: Wikipedia. H.E. Kofi Annan, former Secretary-General of the United Nations, highlighted the importance of these elections in a recent article, particularly since the nomination period of these officials closed on 14 October 2011. “…. A Search Committee with five members has been constituted to search for possible successors to the current Prosecutor. The Search Committee has drawn up a list of candidates all of whom will be interviewed, and then it will provide the States with a final short list of three names. The final decision rests with States. Member States may still nominate separate candidates, but so far none of them have done so, thereby respecting the Search Committee process. The Search Committee is comprised of five individuals, who were chosen by the different regional groups, and who serve in an independent manner and in their individual capacities. The Search Committee has many criteria to take into consideration, as outlined in the Rome Statute and in the different documents adopted by the ASP. NGOs have been also very active on the issue of elections, particularly on the Prosecutor elections, and have therefore made several recommendations to the ASP on their expectations for these elections and for the next prosecutor, particularly urging a merit-based process to identify the most qualified candidate who will head the ICC Office of the Prosecutor (OTP) for the next 9 years. If this experience proves to be successful, it can be replicated for elections at other international tribunals/organizations. 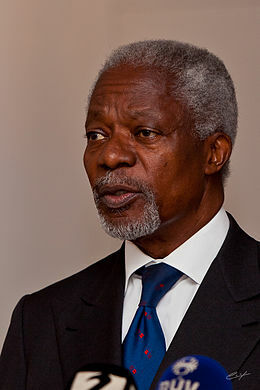 Kofi Annan was the UN Secretary General who convened the Rome Conference, during which states negotiated the Rome Statute, the treaty establishing the ICC. Mr. Annan’s support to the movement to establish a permanent court capable of trying the gravest crimes known to humankind was crucial to the adoption of the Rome Statute in 1998. His support was also vital for the entry into force of the treaty; as one of the most important, respected and vocal ICC advocates, he still holds much influence in international criminal justice and in the sphere of humanitarian work. “In the last several years, we’ve seen how important [the Prosecutor’s] role is: pursuing criminal warlords in the Democratic Republic of the Congo and Uganda. And also how difficult: prosecuting political leaders in the Sudan, Kenya and Libya. He is right: being the ICC Prosecutor is arguably one of the hardest jobs in the international arena. The Prosecutor faces many challenges as noted by Mr. Annan, among which issues related to cooperation with the OTP in order to secure justice by arresting and handing over to the ICC suspects for whom there are arrest warrants. In addition, given that the Court does not have a universal reach, states continue to defy the Court’s decisions and even UN Security Council resolutions related to the Court’s work (e.g. the arrest and surrender of Sudanese President Omar Al-Bashir). The next ICC Prosecutor will need continued and increased support and cooperation from states and from the UN itself, in order to most efficiently and effectively fulfill his or her mandate; most importantly as well, the next Prosecutor needs to be one who is qualified to handle the various obligations of the job in an impartial and apolitical way. The next Prosecutor must adhere to administering justice and must stray away from political questions. The election of the Prosecutor will be crucial to the functioning, integrity and legitimacy of the Court and will impact the way states view the Court, thereby having a potential effect on states’ willingness to ratify or accede to the RS. The next Prosecutor will have to continue the ongoing cases, trials and investigations for situations currently at the Court and will decide on the future investigations and prosecutions that the OTP will conduct. As Mark Kersten noted in a post for this same blog, the ICC Prosecutor’s experience and qualifications must allow him or her to wear two hats at the same time: the ICC Prosecutor must be both a manager and a prosecutor, which is usually not the case for most prosecutors practicing domestically. 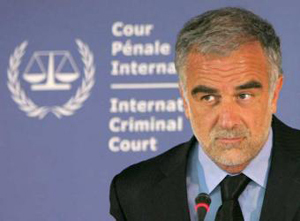 The current Chief Prosecutor at the ICC, Luis Moreno-Ocampo, will be leaving his post in July 2012. Moreno-Ocampo was the first ICC Chief Prosecutor, and headed the office of investigations and prosecutions of the first-ever permanent court capable of trying genocide, war crimes, and crimes against humanity. While there is much criticism against him and the way he conducted his mandate, it is too soon to truly assess his legacy; however, it is important to realize that he faced numerous obstacles in setting up the first permanent Office of the Prosecutor capable of prosecuting perpetrators of the worst crimes known to mankind. For the time being, states should take Mr. Annan’s recommendations seriously: it is imperative that the future Prosecutor be elected from a merit-based process and be the best suitable candidate to investigate genocide, crimes against humanity, and war crimes and prosecute the perpetrators of these crimes. Mariana Rodriguez Pareja is a communications expert and a human rights advocate, with a special interest in international affairs and gender Issues. She served as a media strategist for the Coalition for the International Criminal Court and in the office of the ICC's President. 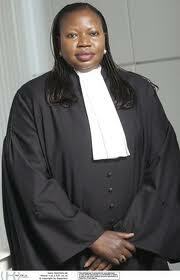 She is current a human rights lawyer attached to the permanent mission of Argentina to the United Nations.